Brooks Sports is an American manufacturer of high-performance running shoes and accessories for both men and women. The numerous years in the shoe designing industry helped Brooks to create the Motion Control shoes for the most amazing running experience. If you choose a shoe that does not fit your pronation pattern, it can cause some back pains and permanent injuries. The motion control shoes represent the firm, durable and heavy shoes developed to resolve over-pronation problems. These shoes are a perfect solution for people with flat feet, over-pronators, and heavier people. The Brooks Men’s Addiction 10 Motions are synthetic running shoes with rubber sole designed for every runner’s needs. For a perfect fit, Brooks offers the additional colors, sizes and widths for all foot types. ​The entry-level motion control provides greater support and control for severe pronators. The PDRB (Progressive Diagonal Rollbar) midsole also controls this problem, which makes the slickest transition from mid-foot to forefoot. Shoes can be too narrow and uncomfortable for some foot types. Brooks Men’s Beast ’12 Running Shoes have a slick design with a mesh and rubber sole to look more modern and fast. They also have a top-of-the-line motion control technology to provide a good and stable support for different over-pronators. The awarded BioMogo innovative and eco-friendly technology makes the Brooks midsole to biodegrade 50 times faster than any other shoes’ midsoles on the market. Diagonal Rollbar Accel increases firmness and support of the midfoot while the heel and forefoot can perform separately. Brooks Men’s Adrenaline GTS 14 are synthetic running shoes with a rubber sole which offer high support, cushioning and perfect balance. 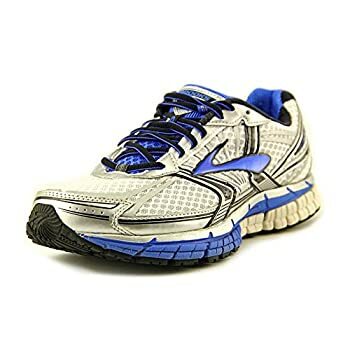 The Brooks shoes also include standard technologies like DNA Cushioning Technology for an automatic shoe adaptation, BioMogo biodegradable and eco-friendly midsoles and Progressive Diagonal Rollbar for progressive control of the pronation. HPR Plus Outsole guarantees higher durability and firmness of the Brooks shoes. The rubber outsole resists abrasion and extends the product life. Brooks developed different innovative technologies to help you feel comfortable while exercise running. They thought about probation problems and pattern of each runner’s feet and created the shoes to maintain durable and flexible for a very long time. Would like Brooks Motion Control Shoes For Men to learn more, head to our page here.